Ahead of the Amazon Great Indian Festival Sale, Huawei Consumer Business Group, India announces exciting offers on its range of premium smartphones. Starting from 9th October to 15th October 2018, consumers can avail attractive discounts, cashbacks and no cost EMI options on Huawei’s next generation smartphones Nova 3, Nova 3i (Purple & Black), and flagship P20 Pro & P20 Lite models exclusively on Amazon.in. Amazon Prime members will get an early access to all product deals from 12 Noon on the 9th of October while the offers will be available for all other customers starting 10th of October. Huawei smartphones combine elegance and innovation to offer an unparalleled experience when it comes to performance and aesthetics. During the Amazon Great Indian Sale, Huawei Nova 3, Nova 3i, P20 Lite and P20 Pro priced currently at a MRP of INR 39,999, INR 23,999, INR 22,999 and INR 69,999, respectively will be offered at a never-seen-before prices. During the Amazon Great Indian Festival Sale, Nova 3 will be offered at a discounted MOP of INR 29,999 with an instant discount of 10% for all the SBI credit and debit card holders with no cost EMI option of upto 12 months. The company is also offering free screen replacement worth INR 9,000 and an exclusive exchange offer. Additional offers from Reliance JIO include 100GB worth of data, INR 1200 cashback & partner vouchers worth INR 3,300. Huawei Nova 3i, Iris Purple & Black edition is being offered at a MOP of INR 17,990 after a discount of INR 6,009 on the MRP. Additional INR 1000 cashback will be offered on all pre-paid orders as Amazon Pay Balance only on the 9th & 10th of October. With an instant discount of 10% for all the SBI credit and debit card holders, consumers can also avail an INR 1200 cashback from Reliance Jio along with INR 3,300 partner vouchers and 100 GB worth of data. The company is also offering free screen replacement worth INR 7,000 with a guaranteed exchange price. 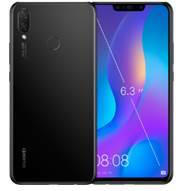 For the Great Indian Festival sale, Amazon is offering Huawei P20 Lite at a discounted MOP of INR 15,999. The offer also includes an instant discount of 10% for all SBI credit and debit card holders with no cost EMI. Consumers will also be able to avail an exchange deal as well as free screen replacement worth INR 9000. Amazon Great Indian Sale will feature the Huawei P20 Pro at a discounted MOP of INR 54,999. The offer also includes an instant discount of 10% for all SBI credit and debit card holders with a no cost EMI of up to 12 months. The company is also offering free screen replacement offers worth INR 18000 along with an exciting exchange benefit. All the deals are exclusively for the Prime members during Prime Early Access on October 9 followed by an open sale from October 10 onwards.